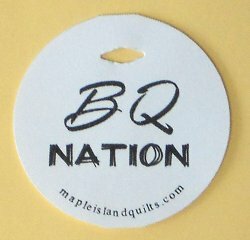 Welcome to Maple Island Quilts! Quilt patterns from Maple Island Quilts are just a bit untraditional. Our up tempo and slightly contemporary quilt patterns are fun to stitch and achievable for most skill levels. We often use clever cutting but traditional stitching and quilting techniques. These are bold looks and clean design lines that allow you to put your own look into the quilt through fabric selection, block rotations or placement. Our patterns usually feature multiple sizes of projects and sometimes extra block sizes giving you many options from each pattern. This is the first page you will want to visit. See what YOU have been up to!